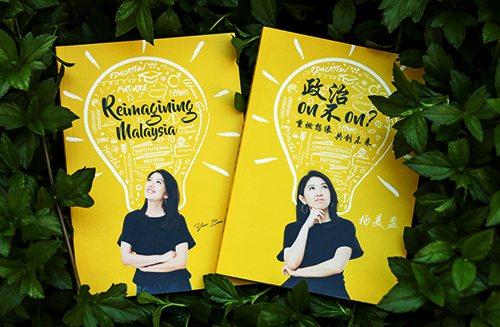 Yeo Bee Yin 杨美盈: Media Statement: Don't Kill Goose that Lays the Golden Eggs, Putrajaya told. Media Statement: Don't Kill Goose that Lays the Golden Eggs, Putrajaya told. Media Statement by Yeo Bee Yin, DAP Social Media Strategist and ADUN for Damansara Utama on Friday, 2 August 2013 in Petaling Jaya. 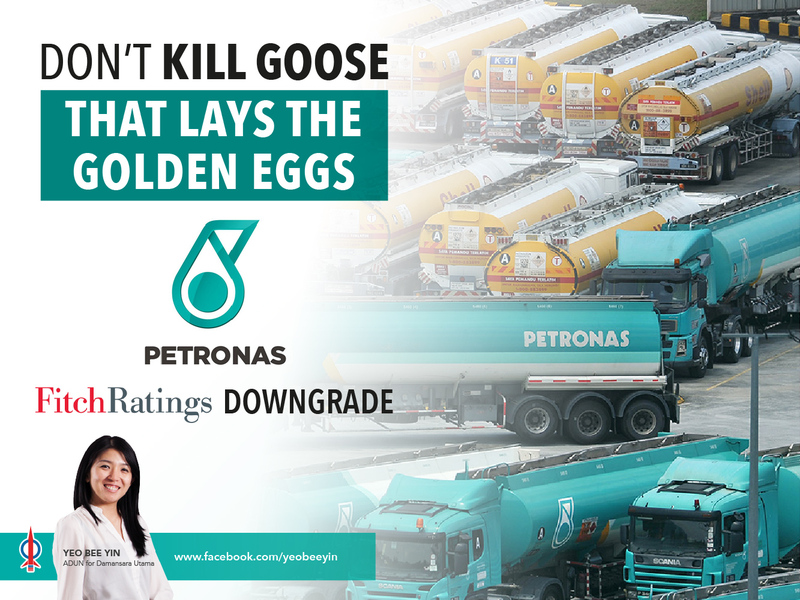 Fitch revision on the Outlook of Petronas Long-Term Local Currency Issuer Default Rating to ‘Negative’ from ‘Stable’ serves as a reminder to Putrajaya so not to kill goose that lays the golden eggs. Fitch Ratings has revised the Outlook on Petronas Long-Term Local Currency Issuer Default Rating (IDR) to ‘Negative’ from ‘Stable’ on 31 July 2013, just a day after the country’s downgrade and not long after the downgrade of its Outlook on Foreign Currency IDR in September 2012. Now, its Outlook on both Foreign- and Local Currency IDR are ‘negative’ - lowering Petronas ability to raise capital in the future, both in the local and foreign currency credit markets. Although Petronas maintains a strong standalone credit profile and Fitch believes that it is Malaysia’s strongest foreign currency debtor, the government influence over its cash flow, financial policies and strategies have apparently impacted its credit ratings as shown by the Fitch downgrades. Fitch rating is sensitive to post-investment cash flow, which is defined as cash flow from operations less capital expenditure, acquisitions and dividend. For Petronas, the dividend is paid to the government but the dividend payout ratio is not capped, i.e, the government has the authority to decide on how much to ‘withdraw’ from Petronas every year. As of now, more than 50 percent of Petronas net profit is paid as dividends to the government, well above the average of 38 percent paid by national oil companies around the world. When the dividend payout is high, post-investment cash flow reduces, lowering Petronas ability to serve debts and hence affecting its Fitch rating. In terms of financial implication, in time of good economy, Petronas high dividend payout translates into less investment in oil exploration activities to maintain its reserve replacement ratio (reserve added to the company relative the amount produced), which is crucial for the long-term survival of an oil and gas company. Furthermore, in bad economy, usually in times of simultaneous falling oil prices and profits, Petronas is vulnerable to be forced to increase its dividend payout and to be treated like a piggy bank. In the event that Petronas does not have sufficient cash reserves, it will need to turn to the credit markets to raise fund. The credit markets impose interest rates based on the credit ratings, which will potentially be downgraded then due to increased dividend payout. Higher interest rates will in turn increase Petronas financing costs. Therefore, we call upon the federal government to re-consider the proposal of Petronas in 2011 to cap the dividend payout ratio so it has sufficient cash to reinvest in oil and gas exploration. In addition, there is a need for the amendment of Petroleum Development Act 1974 so Petronas will be accountable to the parliament and not only to the Prime Minister. Petronas accountability to the parliament is especially important in the time of bad economy, when the dividend payout cap may have to be lifted for bailouts or stimulus for the overall benefits of the country. The lifting of dividend payout cap should be debated in the parliament to avoid vested-interest bailout by Petronas, which as of now, can be solely based on the Prime Minister's preferences and decisions. Some infamous Petronas bailouts are the bailout of Bank Bumiputra in 1985 and 1991 as well as Konsortium Perkapalan Berhad bailout through MISC in 1997 financial crisis under the reign of Dr Mahathir. 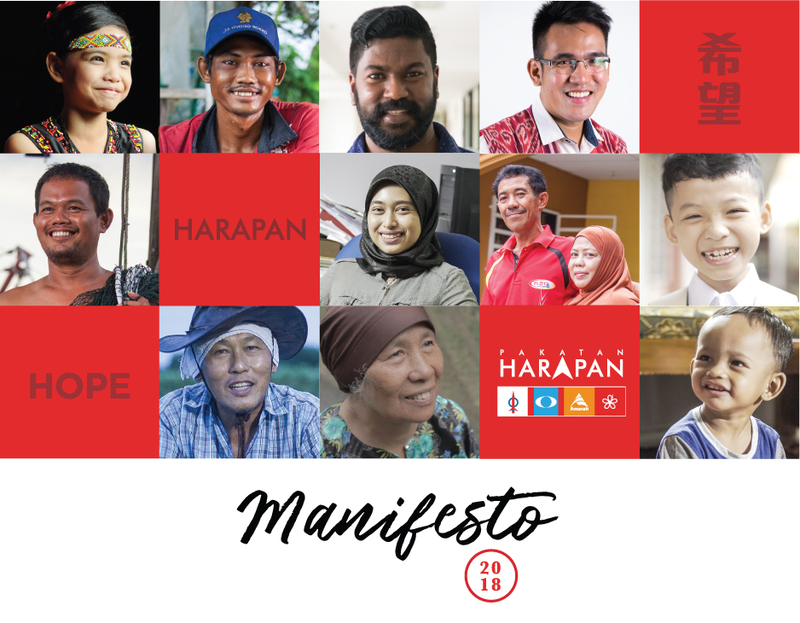 Petronas long-term survival and its governance are important to ensure the Rakyats can benefit fully from the natural resources endowed to the country.